The suspects’ name were given as Engr. Ipanesie Innocent, 39 years,from Mbaise Local Government Area of Imo State; Kelechi Alfonne, 37 years old, from Isiala Ngwa North Local Government Area of Abia State; Lawrence Archibong, 34 years old, from Akpabuyo Local Government Area of Cross River State and Joseph Martins, 28 years old from Ikwo Local Government Area of Ebonyi State. tems recovered from them, according to Mr Moshood, were 68 pieces of APC ward congress result sheets, 130 APC ward delegate forms and 6 APC local government result sheets. 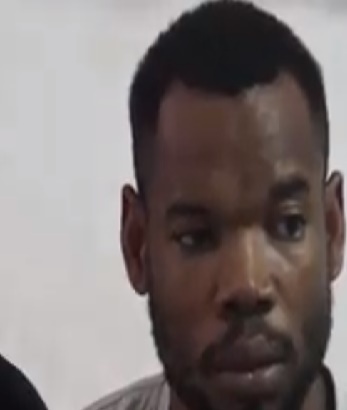 Moshood said the suspects were arrested in the early of yesterday in the hotel where they were lodging. “During the course of interrogating them, they mentioned one Dr Mike Njoku who is the Zonal coordinator of Owerri Municipality to Senator Hope Uzodinma, who is a serving senator of the Federal Republic of Nigeria, “Mr Moshood said.